The Scottish Borders offers an abundant larder and good places to eat. The lively town of Peebles has many specialist food and drink shops along its High Street and side roads. There are people like Val Brunton, Chef/Proprietor at The Sunflower Restaurant, with a passion for local foods, the ingredients on her menus coming from over 20 trusted Borders suppliers. On Saturday mornings, you’ll find freshly prepared treats at the Farmers Market outside the Eastgate Theatre. 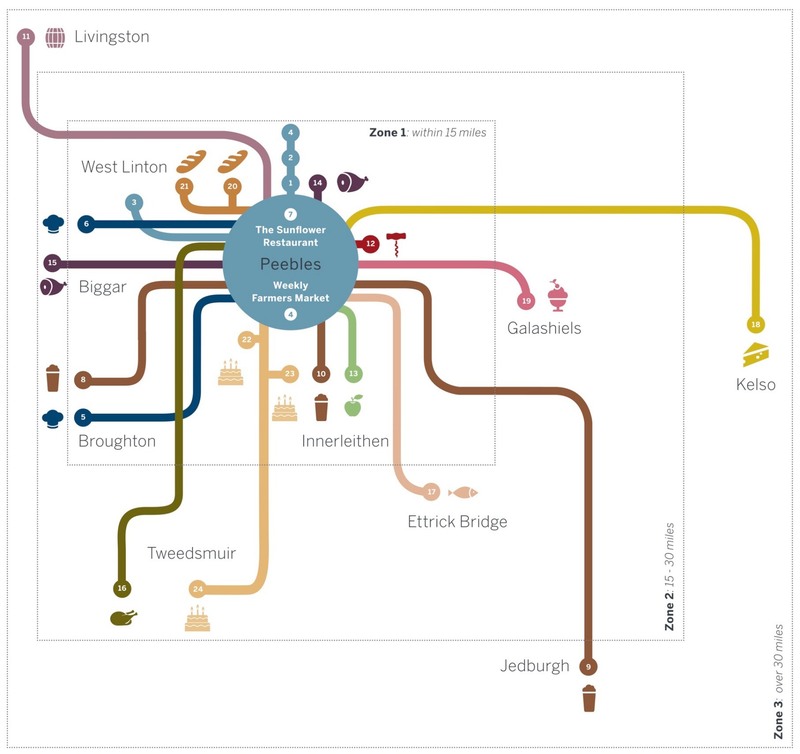 This map, signposts you to a selection of individual and artisan producers and highlights some of the excellent foods and drink available in the Western Borders Food Trail.